Did they know? As I stood in the doorway, clad in my red fleece robe, clutching a warm mug of strong coffee, and waving goodbye, I wondered. Did they know they left with part of my heart packed away in their multiple pieces of luggage? True, the presence of this part of me won’t cause them to be overweight at the airport; it won’t even show up on the TSA scan. But with their departure, our Christmas 2018 officially becomes a collection of memories. It is over. Slowly and with hesitation, I turn back through the front door and walk into our silent house. That singular motion initiates the journey on my way back to normal. Snuggling under the warm afghan, tucked in a comfortable spot in my favorite brown leather chair, I gaze out the window. The nonstop, cold rain matches my spirits. The Christmas tree stands forlorn. The stockings—once brimming—hang empty and limp. The glorious chaos is gone. Fatigue—my companion, but not my friend—lowers my guard. My emotions vacillate back and forth like a confused compass needle. I am not so sure I like normal. Doing the math, I acknowledge that 4 generations, of 15 lives, overlapping for 10 days are rare gifts to be savored. Furthermore, I calculate that no one got sick, there were no injuries, and no appliances broke down. visiting the Cincinnati Zoo and being gobsmacked with a view of the world renowned baby hippo Fiona ! I acknowledge that normal arrived too quickly for my heart. However, normal is now God’s current sweet spot of abundant joy for me. 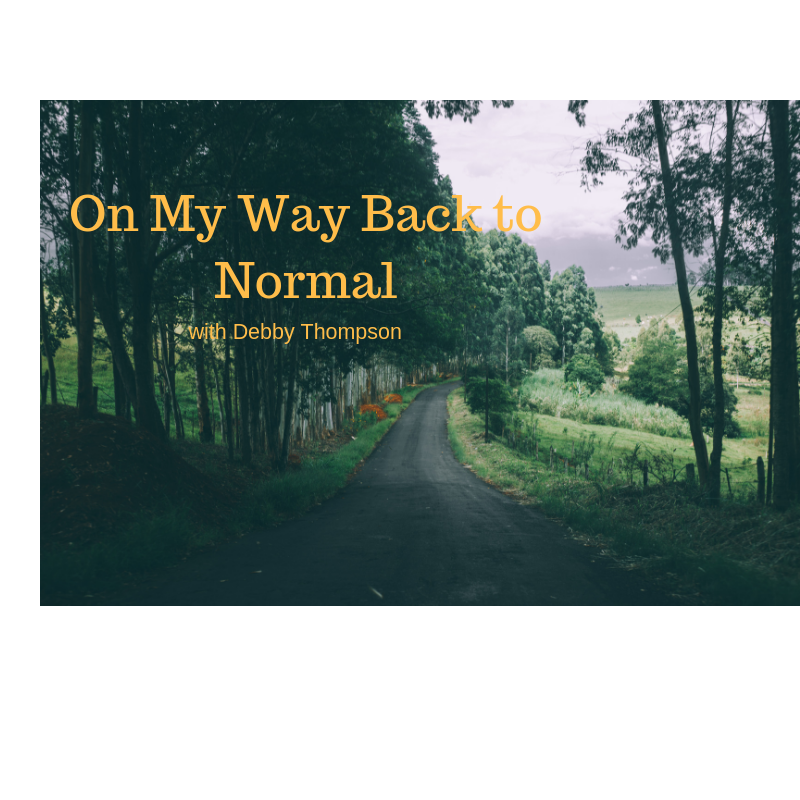 Normal allows for extended quiet times in the Scriptures, conversations with Larry by the fire, relaxed evenings with a Hallmark movie. And normal offers an upcoming calendar full of opportunity and promise. “For I know the plans I have for you,” declares the Lord, “plans to prosper you and not harm you, plans to give you hope and a future” (Jeremiah 29:11). So, on my way to stretch out for a long overdue nap, I smile and embrace the quiet, calm beauty of normal. How do you feel about your return to normal after a busy holiday schedule? What is your inventory of your surroundings, your feelings, your blessings? Why can you trust God’s plans for you? •	What about her? Did you think of him? •	Hey Siri, remind me to… No Siri, remind me to _____! A Christmas carol on the radio—quietly playing in the unobtrusive background—interrupted my mental machine. The words to a song from centuries past took me to a place I needed to go, a place not listed on my to-do list. Unconsciously, I hummed along. Let nothing you dismay. Before I knew it, I was singing aloud. Let nothing you dismay. Then, I found myself not only singing, but declaring with a fresh, new-found fervor: Let nothing you dismay. Oh Lord, Thank You! I needed that. I don’t know the musician, but I am grateful for the instruction his lyrics provide. In the power of the Holy Spirit, I submit (resubmit) my mental machine to You. I ask for You to empower me afresh to walk in peace, prepare with joy, and serve with gladness. And please, Lord, guard my heart and mind to live consistently this season in the ongoing reality of the words: Let nothing you dismay. Research tells us that God Rest Ye Merry Gentlemen was first published in 1833 when it appeared in "Christmas Carols Ancient and Modern," a collection of seasonal carols gathered by William B. Sandys. The lyrics of God Rest Ye Merry Gentlemen are traditional olde English and are reputed to date back to the 15th century although the author is unknown. 1. How are the Words of Jesus in Matthew 11:28-30 reflected in the words of this carol? Come to me, all you who are weary and burdened, and I will give you rest. Take my yoke upon you and learn from me, for I am gentle and humble in heart, and you will find rest for your souls. For my yoke is easy and my burden is light. 2. What is your dismay quotient at this present moment in holiday preparations? 3. Which item on your to-do list is threatening to rob you of the pure, sweet joy of Jesus? 4. Take a quiet moment to articulate a prayer of your own, and turn from your to-do list to the Great I AM, the One born in the manger. I deeply appreciate you and everything you have brought to my life in 2018. Meeting you here, week after week, has meant more to me than my words can express. I am deeply grateful for this journey we share. I have grown, I have learned, I have changed… because of you. Thank you. With joyful anticipation, I look forward to 2019 as you and I continue to pursue Living With Eternal Intentionality. For now, let me wish you a heartfelt Merry Christmas and Happy New Year. May you experience, this season, the tidings of comfort and joy, which only He can give. And, let nothing you dismay.